This two-car detached garage features a lovely Palladian window to add elegance. 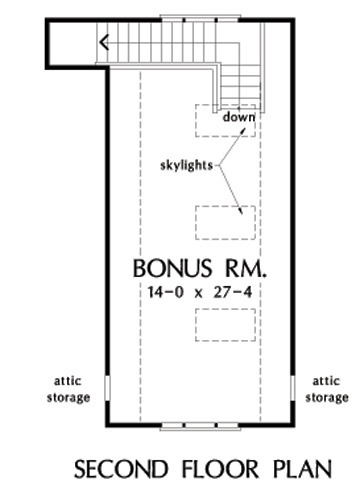 The main level offers storage space under the stairwell, and the upper floor offers three skylights to create a bright and inviting space that would make a perfect artist's studio or guest suite. 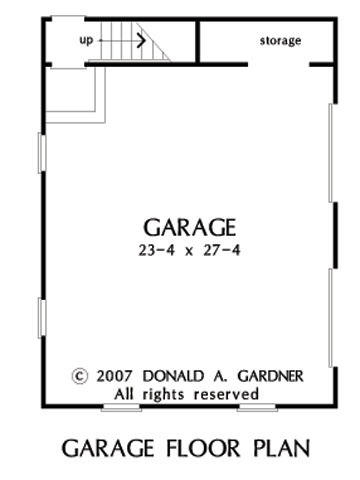 House Dimensions: 24' 0" x 31' 8"
Bonus Room : 14' 0" x 27' 4" x 8' 0"
Garage : 23' 4" x 27' 4" x 0' 0"
Garage Storage : 10' 8" x 3' 4" x 0' 0"
Other : 4' 6" x 3' 4" x 8' 0"